From May 2015 to present I am a performer of the project "Genomic studies of major boreal coniferous forest tree species and their most dangerous pathogens in the Russian Federation". 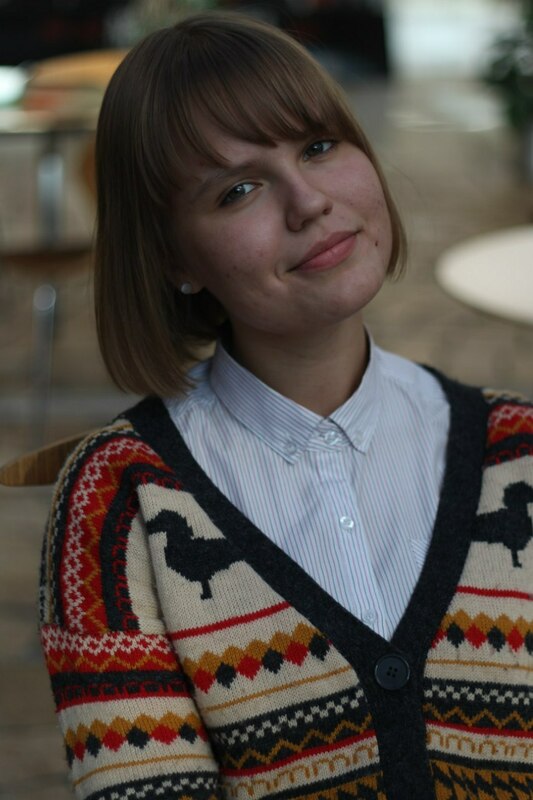 Young researcher of the Laboratory of Forest Genomics of SibFU. The theme of the coursework: “Revealing the relations between mitochondrial genome structure and taxonomy of bearers” (Russian version only). The theme of the graduate work: “Revealing the relations between genome structure and taxonomy of bearers on the example of mitochondrial genomes of some animal species” (Russian version only). V.S. Fedotova, M.G. Sadovsky, Y.A. Putintseva About population genomics of some chordata species // The Seventh International School of Young Scientists “Systems Biology and Bioinformatics”, SBB-2015. - 2015. - pp. 18. V.S. Fedotova, M.G. Sadovsky Towards the population genomics of some chordata species // International Conference of Students and Young Scientists "Prospect Svobodny - 2015" (Russian version only). - 2015. - pp. 52. M. Sadovsky, Yu. Putintseva, A. Chernyshova, V. Fedotova Genome Structure of Organelles Strongly Relates to Taxonomy of Bearers // The Third International Conference IWBBIO. - 2015. - pp. 481-490. V.S. Fedotova, M.G. Sadovsky, Yu.A. Putintseva Phylogeny developed over the Triplet Composition of Mitochondrial Genomes: High Synchrony in the evolution of two Genetic Systems // The 10th International Multiconference «Bioinformatics of Genome Regulation and Structure\ Systems Biology» BGRS/SB 2016. - 2016. - pp. 81. V.S. Fedotova, M.G. Sadovsky, Yu.A. Putintseva Phylogeny developed over the Triplet Composition of Mitochondrial Genomes // The 8th Young Scientists School «Systems Biology and Bioinformatics» SBB-2016. - 2016. - pp. 26. 6. V.S. Fedotova, M.G. Sadovsky Mitochondrial Genome Evolution Highly Synchronised with the Evolution of the Nuclear Genome of the corresponding organism // International Scientific Student Conference ''ISSC-2017'' (Russian version only). - 2017. - pp. 169. The Seventh International School of Young Scientists “Systems Biology and Bioinformatics” SBB-2015, Novosibirsk, Russia. International Conference of Students and Young Scientists "Prospect Svobodny — 2015", Krasnoyarsk, Russia. The 10th International Multiconference «Bioinformatics of Genome Regulation and Structure\ Systems Biology» BGRS/SB 2016, Novosibirsk, Russia. International Scientific Student Conference ''ISSC-2017'', Krasnoyarsk, Russia. ''Systems Biology Workshop 2017'', Saint-Petersburg, Russia. The 9th International School of Young Scientists “Systems Biology and Bioinformatics” SBB-2017, Yalta, Crimea.